JUST fell thru! Back on MARKET! Now's your chance! 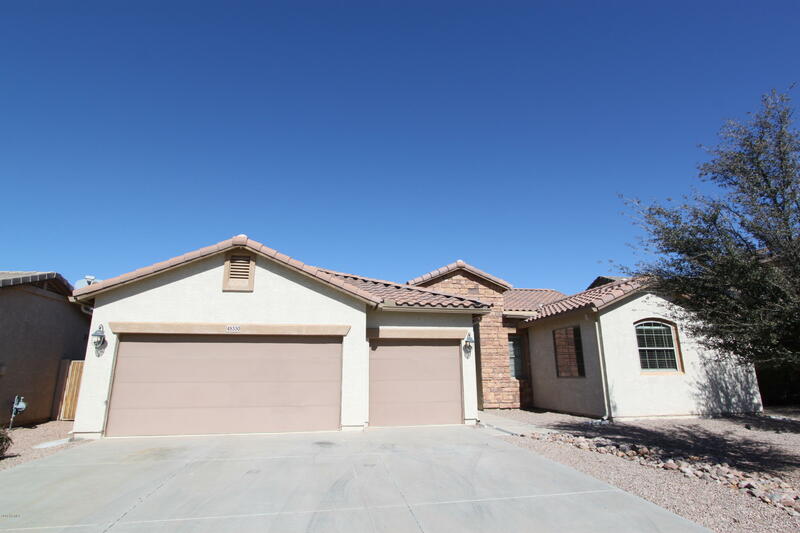 STUNNING REMODEL of HIGH END Lennar 2300sqft 4BR/2BA w/ MASSIVE THREE CAR GARAGE!! DESIGNER 2-tone PAINT! MASSIVE chef's GRANITE ISLAND/WRAP-AROUND kitchen w/TONS of premium MAPLE CABINETRY & STAINLESS appliance pkg! MASSIVE pantry is whole SEPARATE ROOM! SOARING 10ft CEILINGS thru-out! ARCHED doorways &WINDOWS, premium SATIN-NICKEL hardware, &RECESSED lighting thru-out! FRENCH DOORED den/4th BR! Gigantic MASTER SUITE has MASSIVE WALK-IN closet, STEP-IN shower, DUAL vanity w/MAKE-UP DESK &separate SOAKING TUB w/MARBLE SURROUND! ALL BR's have WALK-IN closets! FULL GUEST BATH w/DUAL vanities! DUAL A/Cs! SURROUND SOUND pre-wire IN&OUT! HUGE POOL-SIZED yard! NEXT to ULTRASTAR Entertainment Center and Copper SKY with Sports/gym/fishing lakes!